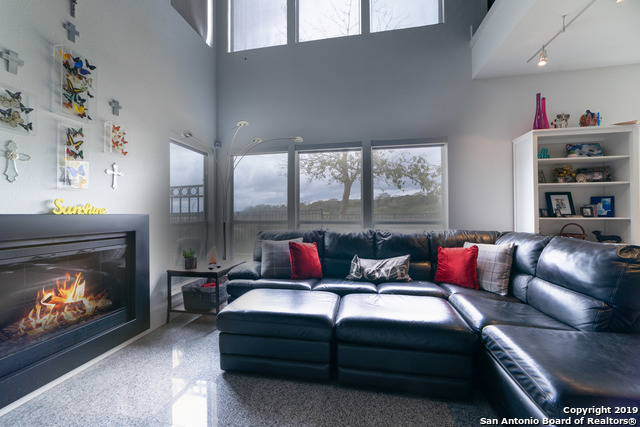 All LAS VENTANAS TOWNHOMES homes currently listed for sale in San Antonio as of 04/20/2019 are shown below. You can change the search criteria at any time by pressing the 'Change Search' button below. "Want Views, updated luxury living, two masters w/own bathroom & closets but little to no maintenance? I have that for you! Walk into this updated/upgraded townhome w/plenty of room: Master featuring steam shower/separte jacuzzi; 2nd living space up for your guests + 2nd master, 2 generous sized bedrooms. 2 car garage plus Xtra parking, Quartz counters w/Bosh appliances, concealed fridge; lots of storage, separate wash sink in laundry roomlarge closet for more storage. Close to Rim, Cantera. Se"
"Upscale gated townhome in the heart of Crownridge. Sophisticated interiors that feel like a detached luxury home w/ high ceilings, abundant windows & light, covered patio, hardwood floors trough, attached 2-car garage. Luxurious master retreat w/ spa tub, double vanity & walk in closet. Spacious guest bedrooms. Quartz counters in ktchn w/ stainless steel appliances. LOCATION! Easy access to UTSA, La Cantera, The Rim, Medical Center, Valero & I-10."